Violence is a problem in America (just as it is in most countries). Gun violence is often the problem cited because it is the most obvious. Some of the people who want to fight gun violence seem to have lost the concept of common sense. Please visit the site to check the sources on the footnotes. All this brings me to a story from CBS Boston posted on Thursday. Boston Mayor Marty Walsh and Police Commissioner William Evans have formulated a plan to reduce gun violence in Boston. The first step of the plan involves sending a letter to all gun owners. The letter will give gun owners information about reporting a private gun sale, loss or theft. It also advertises a free gun lock, a program that offers a $200 gift card if a firearm owner turns in their weapon and advice on gun storage. “As a legal gun owner, it is important that you also do your part to ensure that guns are stored safely, and kept out of the hands of children and criminals,” the letter states. Deadly shootings have dropped 30 percent compared to this time last year, but the city has seen more non-fatal shootings, police say. “We must think creatively in order to reduce the amount of illegal guns and violence on our streets,” Walsh said. The city will also reach out to gun vendors about preventing illegal firearm sales. I fully support safety courses for people who own guns, but the people who legally own guns are not the problem. 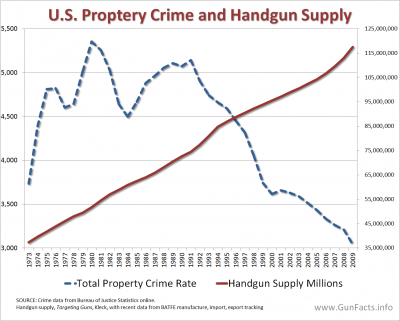 Statistics show that crime goes down when more people legally own guns. Boston’s problem won’t be solved by buying back guns–it might be solved by allowing more of its upstanding citizens to own guns and ending the hassle Massachusetts puts you through to get a gun permit. Sometimes you just wonder who comes up with these ideas. A lot of the discussion of gun violence and limiting access to certain kinds of guns overlooks what the Second Amendment is actually about. The purpose of the militia was to protect us from the kind of totalitarianism we had experienced under the British. Now, some of those attempting gun control have forgotten about the rest of the U. S. Constitution. Justice Department researchers have concluded that an assault weapons ban is “unlikely to have an effect on gun violence,” but President Obama has not accepted their report as his administration’s official position. The research in that report didn’t stop Obama denouncing “weapons of war” during his State of the Union speech on February 12. So what is this really about? It is much easier for a government to control an unarmed citizenry than an armed citizenry. Americans have never been about being controlled by the government. If we are serious about protecting our freedom, we need to look at the statistics and not buy into the rhetoric.